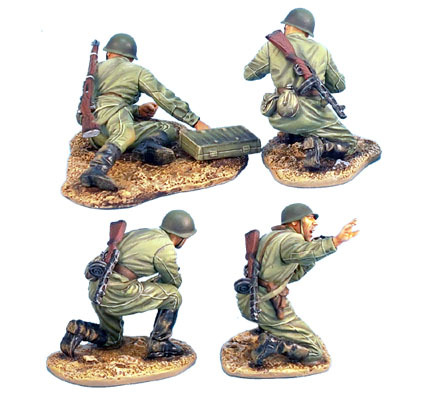 To give the Russians a chance to fight back at the recent onslaught of German armor, we have now added RUSSTAL012 45mm AT Gun and Crew! This beautifully rendered 45mm AT Gun and stunning crew will finally give the Russians some real stopping power against the German Stugs, Armored Cars, and now the Panzer III J. 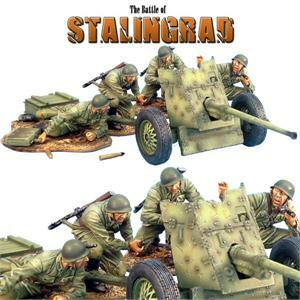 Complete with the 45mm Russian Anti-Tank Gun, 4 Stunning Crew Figures, extra ammo crate, and 3 shells/shell casings, this is a superb, and much needed, addition to the Soviet forces for our Stalingrad range. 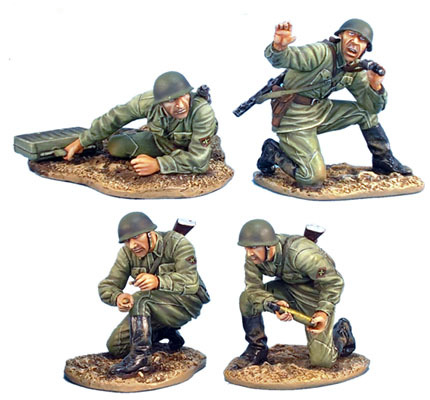 So bolster your Russian defense with this outstanding figure set! You can collect toys or you can collect history, the choice is yours.